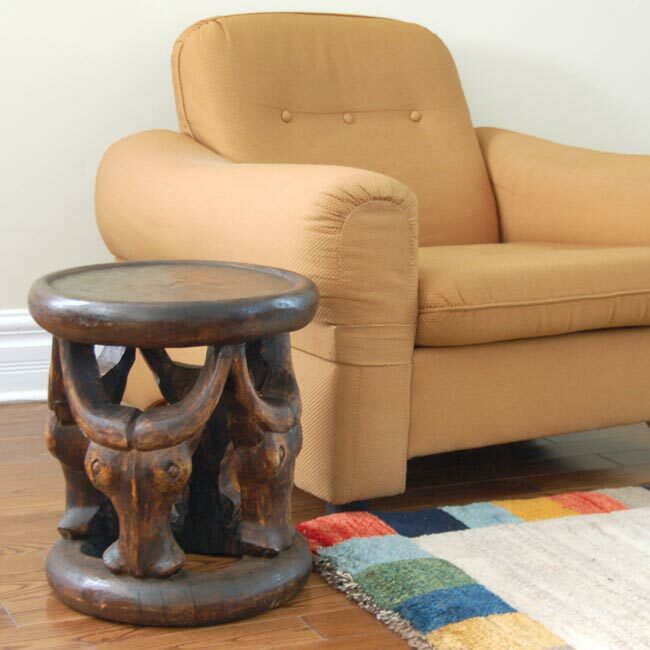 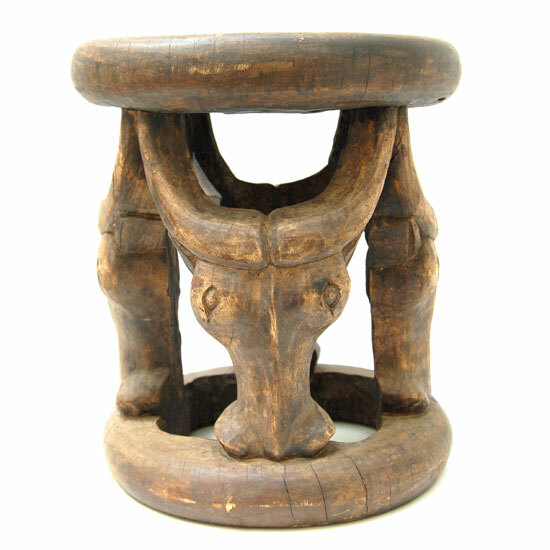 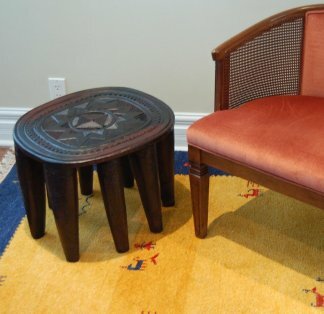 Vintage solid wood Bamileke stool / side-table, handcarved in Cameroon with cattle caryatid. 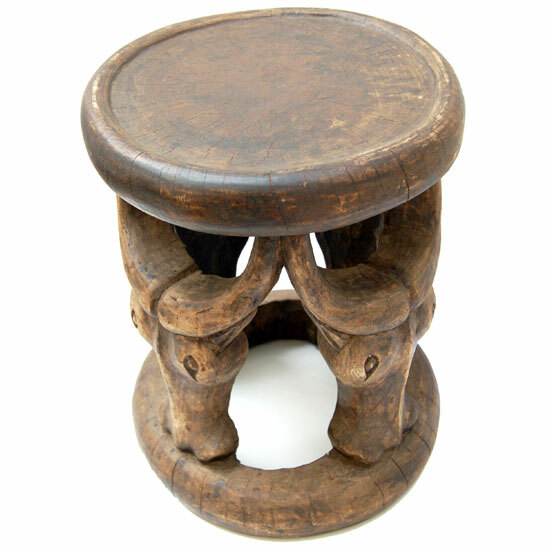 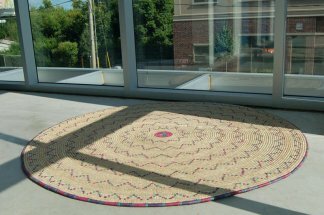 Uncommon vintage Bamileke stool. 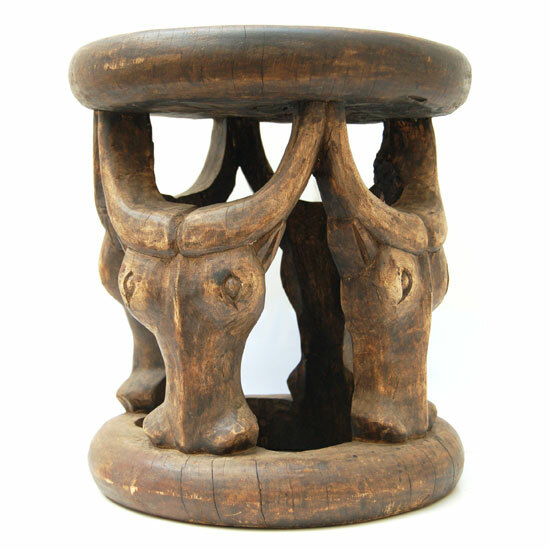 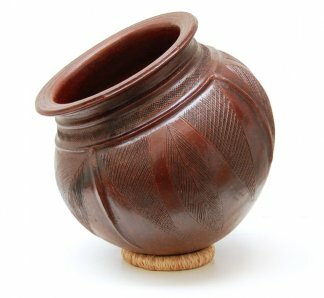 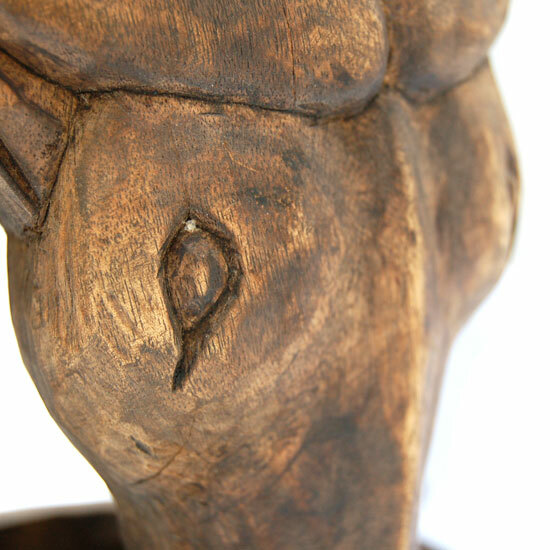 Four carved cattle heads connect the chunky top and ring base. 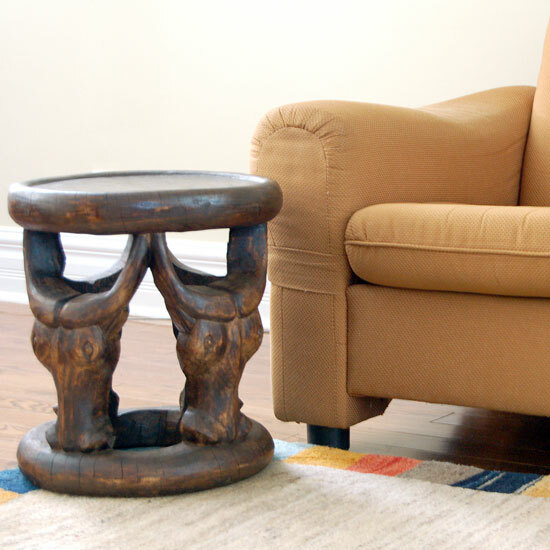 Perfect accent piece for the living room or bedroom. 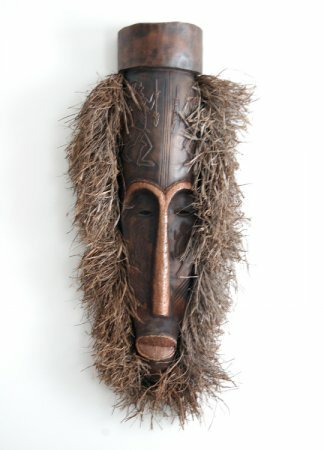 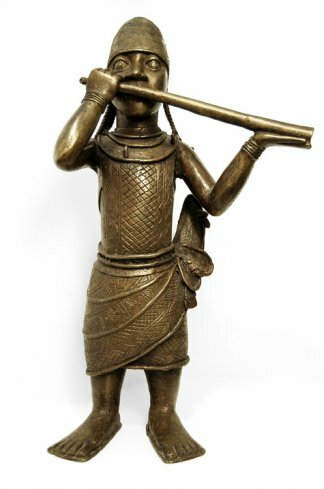 Hand-carved from a single piece of wood in Cameroon. 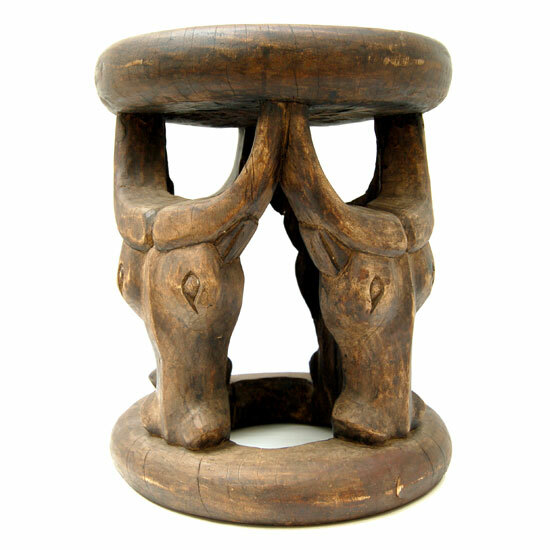 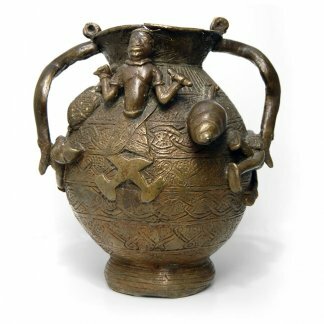 Bamileke stools are often referred to as “king’s stools” because in the past, the most elaborate stools belonged to important chiefs and accomplished individuals.